Money is wasted during each minute of a meandering back-office meeting. You need to set a tight schedule, establish ground rules and be selective with the invitations. By tweaking a few things you can make your meetings stimulating, focused and fruitful. Staff meetings, department meetings, management meetings, lunch and learns. 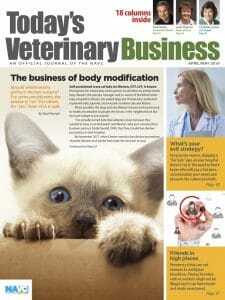 Veterinary professionals are not immune to the meetings epidemic that plagues many companies. Meetings are often a necessary evil, but many of them are unexciting, unfocused and unproductive. We rarely stop to think about the real cost of meetings because, after all, the attendees are clocked in anyway. Let’s do some back-of-the-envelope calculations on an hour-long meeting. Let’s pretend 20 employees make a conservative average of $20 an hour, taking benefits into account. Sure, some make less and some make more. But it’s an easy average. 20 times $20 equals $400 during a 60-minute meeting. Of course, the most important part of any good meeting is the food. Depending on how fancy you want to be, you can easily spend $200 on 20 attendees. Subtotal: $400 in payroll plus $200 for food equals $600. When receptionists are in a meeting, they can’t schedule appointments. Meanwhile, nurses and doctors can’t take care of patients. Let’s assume the practice generates $2 million a year. How much does the hospital make per hour? Let’s say the clinic is open from 8 a.m. to 7 p.m. Monday through Friday. That’s 11 hours a day. Saturday hours are from 8 a.m. to 1 p.m. — five hours. That’s a total of 60 hours a week for 52 weeks, or 3,120 hours a year. Let’s take holidays into account. Seven holidays a year times 11 hours equals 77 hours. Do the math: 3,120 minus 77 equals 3,043 business hours. So, how much does the practice generate per hour? We divide $2 million by 3,043 business hours. The hour-long meeting potentially costs $657 in lost business. Grand total: $400 in payroll plus $200 for food plus $657 in opportunity cost equals $1,257, or $21 a minute. Let’s be conservative and say the meeting is monthly. That’s over $15,000 a year! If you add all the other meetings that invariably take place, you easily could spend $20,000 on meetings every year. You can apply similar calculations to your clinic. Factor in the number of receptionists, nurses, kennel helpers, managers and doctors, as well as the number of working hours and meetings, and then you’ll have a good idea of where you stand. If the meeting starts six minutes late, you burned $126. Five minutes of warmup to chat about the weather, sport scores or the past weekend? That was a $105 icebreaker. A “quick” three-minute dialogue between two or three people that doesn’t pertain to anybody else: $63. Ten minutes of unfocused conversations of questionable value: $210. Assuming a conservative 25 percent of the meeting was spent on topics not on the agenda, didn’t pertain to most attendees or was a rambling recap of a previous meeting, the cost was $314. Please don’t misinterpret my point. Meetings are critically important in an efficient practice, whether to rally the troops, train staff members or get everybody on the same page. These are effective meetings. Sadly, however, many meetings are boring, follow a vague agenda at best and don’t yield practical results. What can you do to lead effective meetings that keep attendees motivated, engaged and creative the entire time? By tweaking a few things you can make your meetings stimulating, focused and fruitful. Preparation is key. Four items require your attention before the meeting even starts. No meeting should be scheduled unless specific goals have been identified. Is the meeting truly necessary? Would a memo or an email suffice? This little exercise forces the organizer to generate a clear agenda. No meeting should take place without a pre-approved agenda. A draft should be created with input from key participants. Each person can add suggestions until the agenda is finalized. Instead of having attendees debate 17 minor questions that could be answered by email, focus on a few important items. Four major points might be a good number. Each section of the meeting should have a time limit. 1:05-1:15: Next year’s fee increase. 1:30-1:45: Next quarter’s marketing plan. 1:45-1:55: Add a new medication? Who should be present? Who is indispensable and can make decisions? Not everybody needs to be a part of every meeting or for its duration. Some team members can be invited at a specific time. For example, the inventory manager could sit in from 1:15 to 1:30 p.m. to discuss the launch of your online pharmacy. Be respectful of people’s time. Team members not required to attend can read the minutes. Be on time. Some businesses penalize people for being late. One small-business owner orders an attendee to perform 10 squat thrusts for each minute the person is late. These are not done on the spot, though, because time — and money — would be wasted. The exercise is done at home and documented on video. No cell phones. Request that attendees leave their phones outside the meeting room. Start with good news. It can be a thank-you card from a delighted client, a team member’s adoption of a rescued puppy or a nice online review. Summarize the meeting’s main objectives. Designate a time referee. This fearless person will give a two-minute warning when time is running out on a particular topic. Designate a note taker. This person keeps the minutes and distributes them within a day or two. Stop discussions that are off-topic. Subjects not on the agenda should not be brought up. Remember, every minute wasted costs money. Is my advice harsh? Would your meetings become less fun? Too businesslike? That’s my point: Meetings are meant for talking shop, not to go down every rabbit hole brought up by a random attendee. Follow these guidelines and your meetings will fulfill their real purpose: brainstorming, creating solutions and sharing information. When that happens, staff members will look forward to meetings and leave the conference room energized, motivated and happy. Dr. Phil Zeltzman’s traveling surgery practice takes him all over eastern Pennsylvania and western New Jersey. He is Fear Free certified. Learn more at www.DrPhilZeltzman.com.